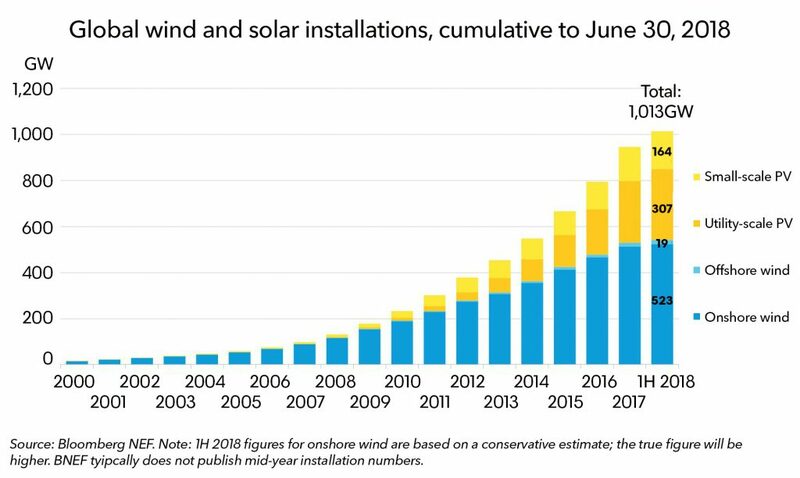 The combined global capacity of wind and solar installations passed the landmark 1000GW in the first half of 2018. Capacity grew 65X since 2000 and took 18 years to get to 1TW. BNEF expects the second 1000GW will take just 5 years. And will cost around half as much. Read the full story on BNEF.